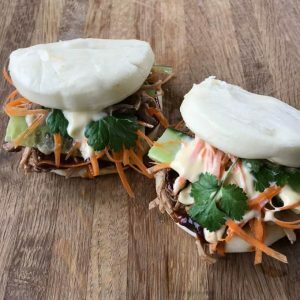 These pulled pork bao buns are one of my most popular dinner recipes, the asian style pork is super easy to make in the slow cooker. 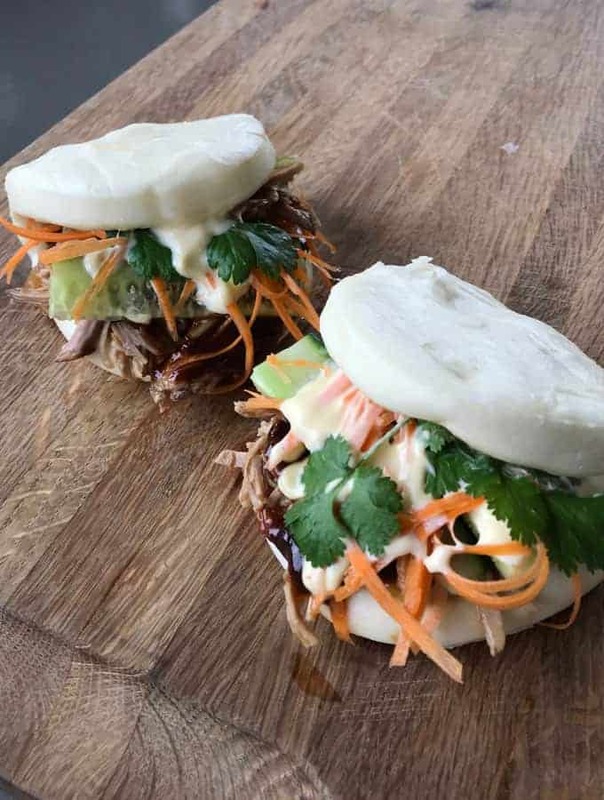 Once you try these delicious pulled pork bao buns the recipe will be sure to be one of your favourites. 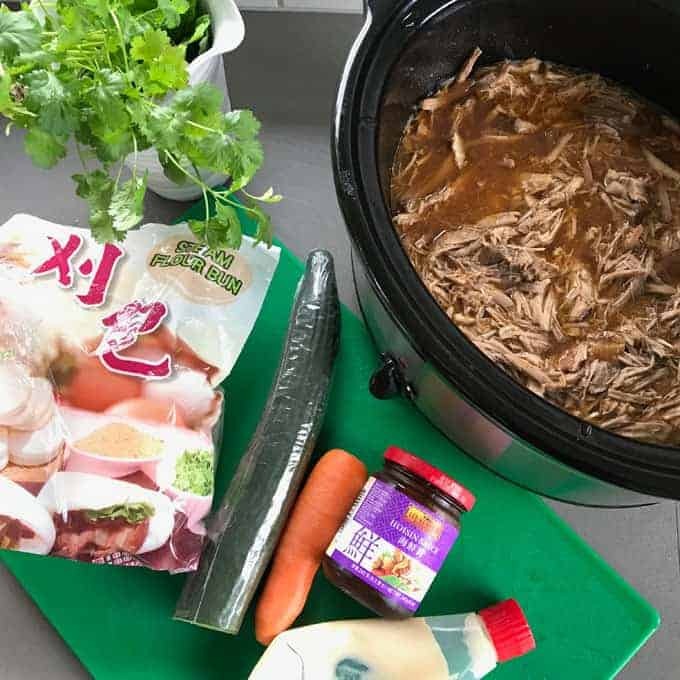 The pulled pork is made in the slow cooker so you can prep it in the morning and come home to delicious Asian style pulled pork. Once the pork has been in the slow cooker for 4-6 hours it will be so tender and pull apart very easily. I like to use my new meat claws to pull it apart, it makes me feel like a wolverine, haha. I bought them from Countdown and they were only $5, such a bargain. 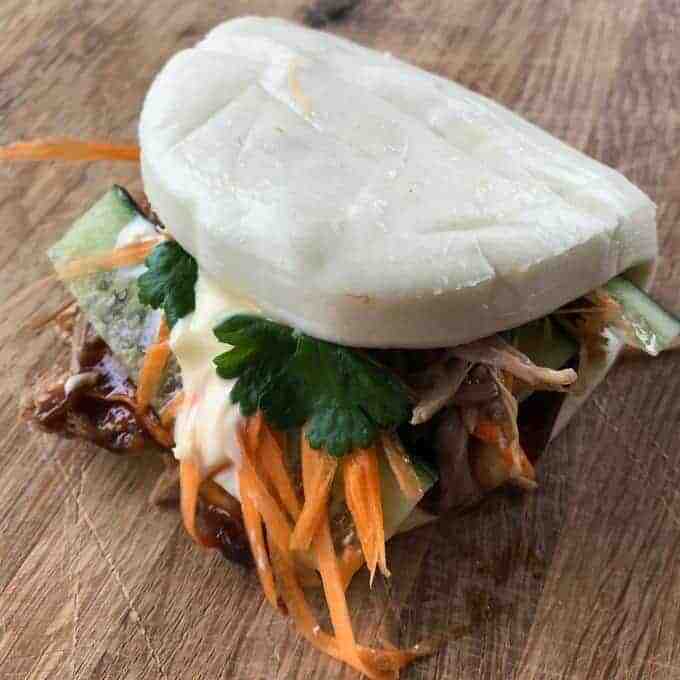 You can buy the bao buns from Asian supermarkets and specialty stores, they are kept in the freezer section. I like to serve my pulled pork with shredded carrot, sliced cucumber, Japanese kewpie mayo, hoisin sauce and fresh coriander. 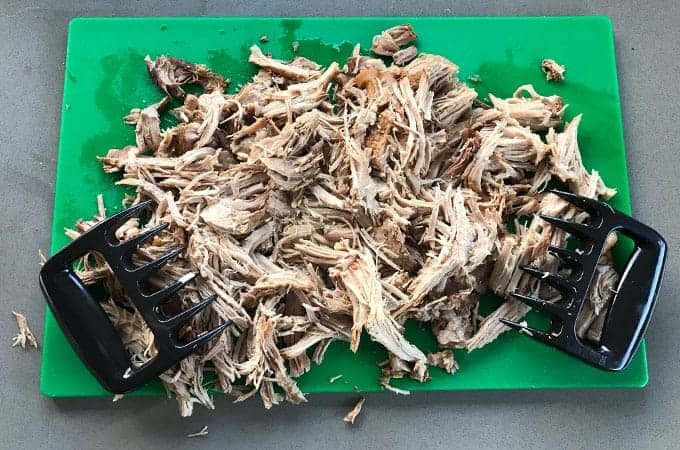 This recipe will make enough pork to feed around 12 people, I like to freeze the leftover shredded pork in meal size portions. 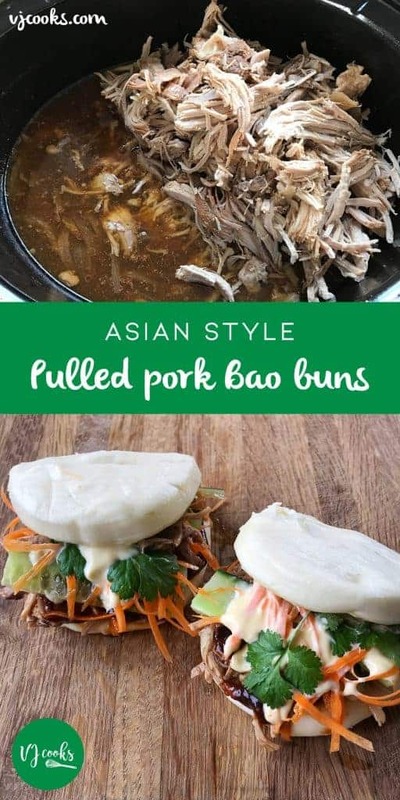 Then I can defrost the pork next time I want to make bao buns and the meal only takes around 20 minutes to prepare, I re-heat the pork in the oven but you could also use the microwave. Add onion and pork to slow cooker, stir together soy sauce, five spice, garlic powder, ginger and sweet chilli sauce then pour over the pork. Dissolve the oxo cube in the boiling water and pour into the slow cooker then add the star anise. 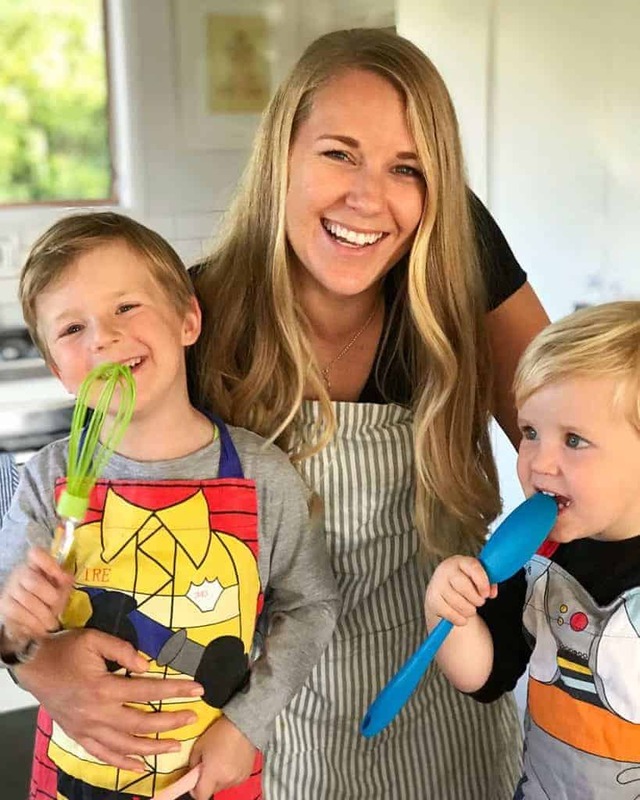 Cook on high for 4+ hours or on low for 6+ hours. Once the pork is falling apart easily, remove from the sauce and set aside, mix the cornflour with about a 1/4 cup of the meat juices and add to the sauce. Shred the pork (discard the skin and any bones) then add it back to the slow cooker and stir, turn it onto low until ready to serve. 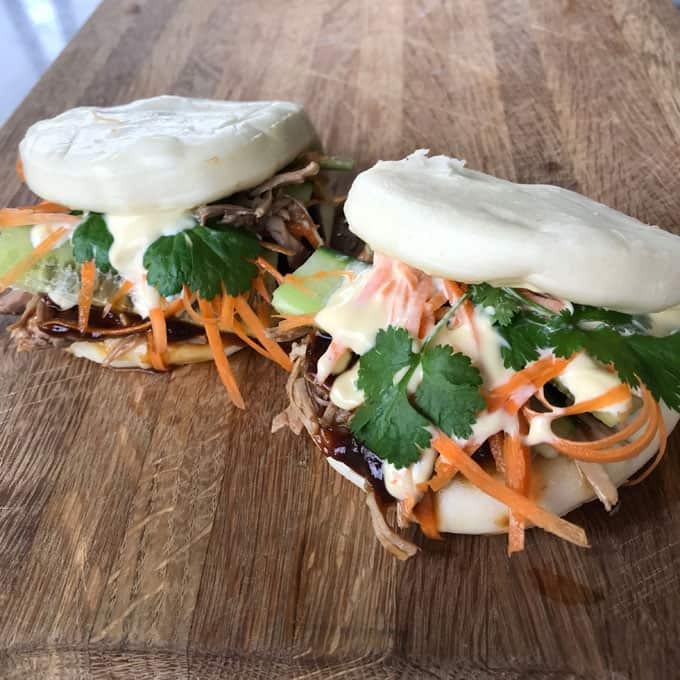 Serve the pulled pork on steamed bao buns with Hoisin sauce, Kewpie mayo, shredded carrot, sliced cucumber and coriander.